My kitty resting in the grass. 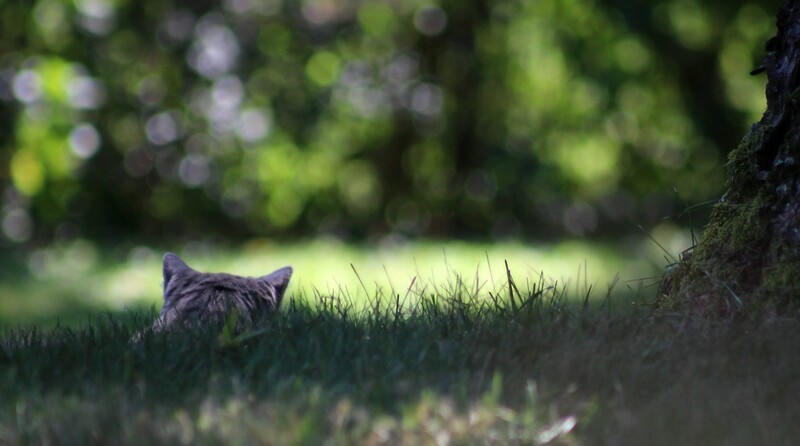 Love this shot with the back of those little ears and head peeking out from the grass...great bokeh, composition. Wonderful composition! Love the bokeh. Fav! Awww the life of a cat................sweet bokeh and capture Marilyn! Beautiful capture and bokey . Great perspective and effects. Such soft greens too! This is so lovely Marilyn, just love that little head peeping out from the grass. I love your perception of the kitten. He's found a perfect spot to nap. Love those ears sticking up and the bokeh background. I love this shot! What fun and what a relaxed feeling it conveys! Very nice capture. Love the feeling of the cat stalking its future prey.